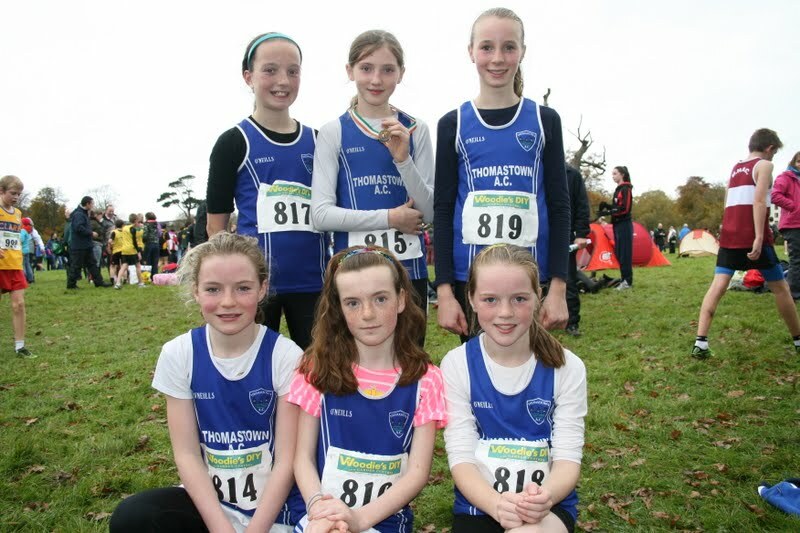 Thomastown celebrated with team gold in the All Ireland Juvenile Cross Country Championships at Santry Demense on Sunday. The club were crowned All Ireland U-12 Girls Cross Country Champions 2013, winning comprehensively with 44 points to spare over their nearest rivals West Waterford. The scorers for Thomastown in a tough race were Aine Kirwan (9th), Ciara O’Keeffe (17th), Ellen Ryan (18th) , Orla O’Keeffe (59th) giving them 103 points. Anna Cass and Edie Maher completed the team. 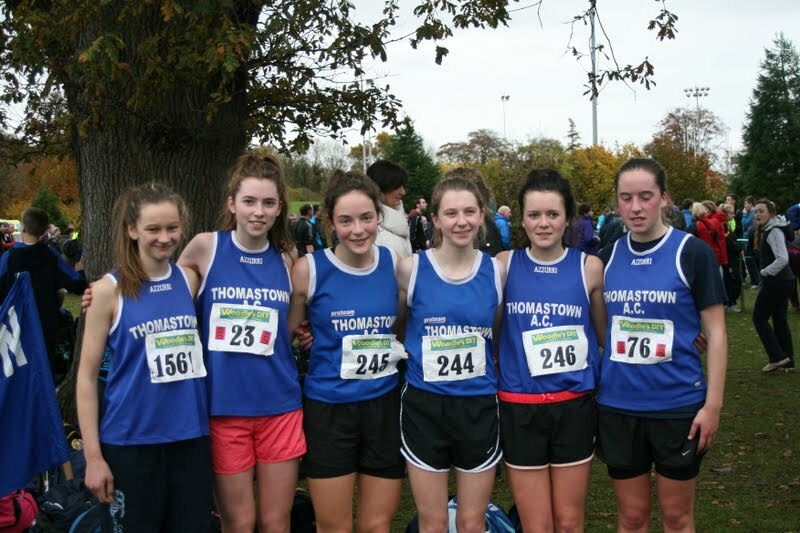 The Kilkenny County team in which the Thomastown athletes Aine Kirwan, Ciara O’Keeffe, Ellen Ryan and Orla O’Keeffe were joined by St Senan’s athletes Tara Ramaswamy in 16th place and Kym Jolly 85th position finished with silver medals in their competition. If that wasn’t enough both Aine Kirwan,and Ciara O’Keeffe won silver medals as part of the Leinster team in the same race. In the Girls U-18 race Girls U18, the Kilkenny team of Aoibhe Richardson,(KCH) Rachel Butler (SS), Sinead Whelan (TT), Anna Sheehan (KCH), Lauren Dermody (CC), Michelle McDonnald (SS) and Niamh O’Shea (TT) finished in third place to capture bronze medals in the county competition. In the interprovincial competition Aoibhe Richardson, Rachel Butler, Sinead Whelan were part of the Leinster team that also won bronze medals. Peter Lynch, KCH, with a brilliant run to 10th position was the first Kilkenny athlete over the line in the Boys’ U-18 race he was followed home by Sean Power, Thomastown in 18th place and both these athletes were part of the bronze medal winning Leinster team. The county team which also include Oliver Mullaly (SS) in 23rd place, Cormac Buggy (G) in 30th position, James Power (TT) 60th finished just outside the medals in 4th place. The Junior Womens race yielded yet another set of team medals for Kilkenny with the county taking the team bronze medals . 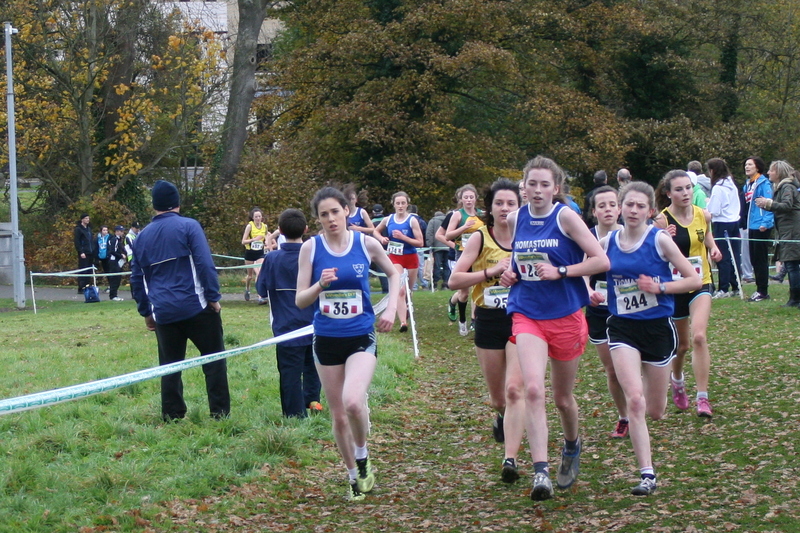 The scoring team in this event were Thomastown athletes Megan Morrissey (10th) , , Maeve O’Connor (23rd), Laura Walpole (32nd) and Aine Kinsella, St Senans who finished the race in 13th place.